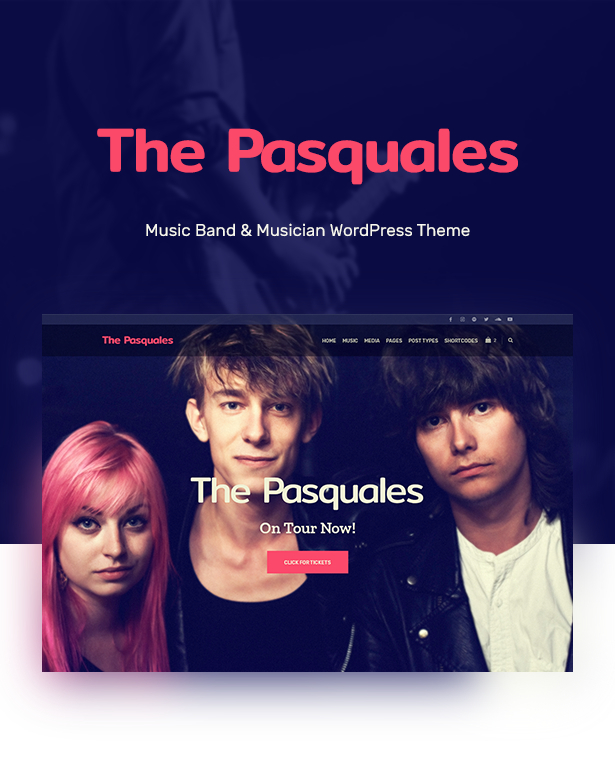 The Pasquales is a modern music WordPress theme and has all the needed functionality to build a powerful website for a music band, singer, DJ, artist or even a music producer, sound recording studio or a night club. It is extremely flexible, intuitive and easy to use, packed with premium features and plugins, making it a powerful and complete solution for anyone working in the music industry. 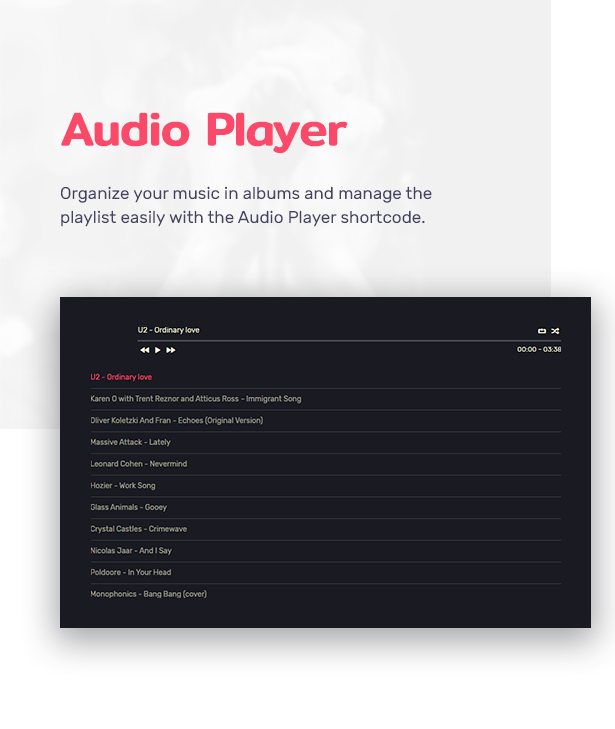 This music theme comes with a fully custom and unique online music player – you can let your fans listen to your music records right on your website, and also this is a great way to show concert recordings and even full albums. This mp3 player has perfect visual appearance and all the needed functionality – you can loop the whole album or shuffle songs to play them in random order. 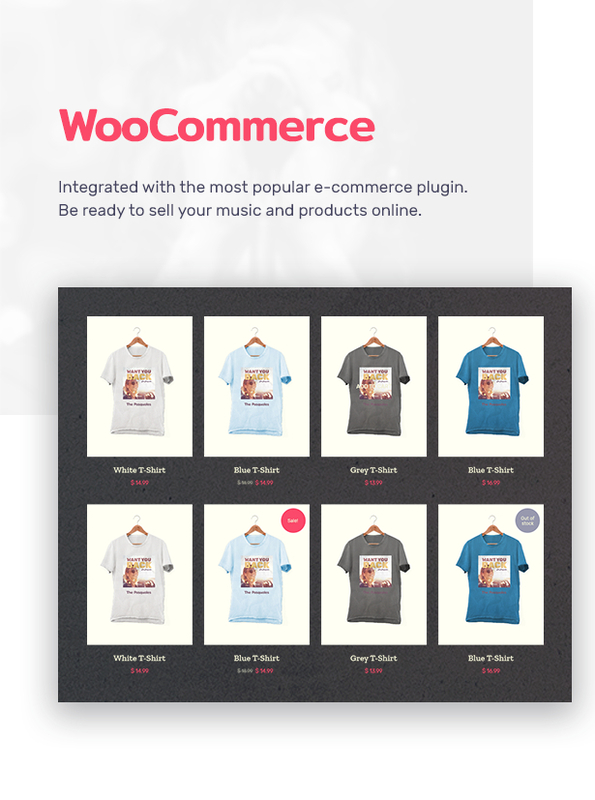 You can sell your merch and albums with the most popular e-commerce plugin – WooCommerce, also it can be used to sell tickets online to music festivals, concerts and other music events. The Pasquales can be also used for the events and entertainment websites. 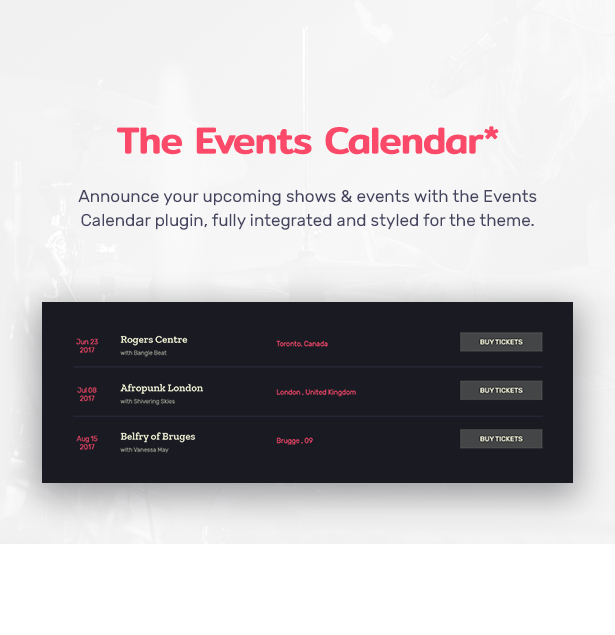 Events functionality to showcase your upcoming events is achieved with the help of the Events Calendar plugin, fully integrated and styled for the theme (please note that the Events Calendar PRO addon is always purchased separately). 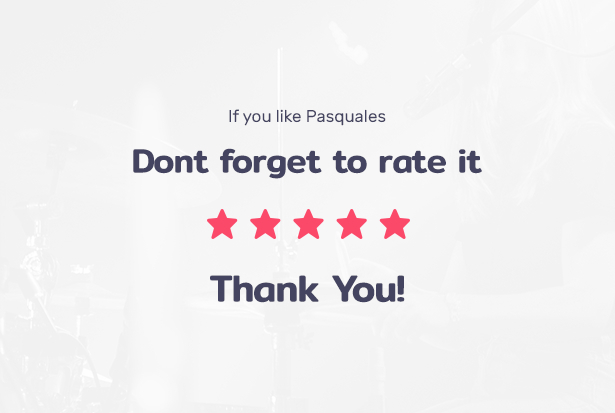 The Pasquales comes with 5 different pre-made homepages, has unlimited creativity in design and colors, flexible layouts and super powerful functionality for portfolio and other elements – anything you might need to make a creative musician website. If you are a professional dj, singer, performer, musician or even a webmaster, this premium theme is for you. The Most Powerful Music Theme Ever! 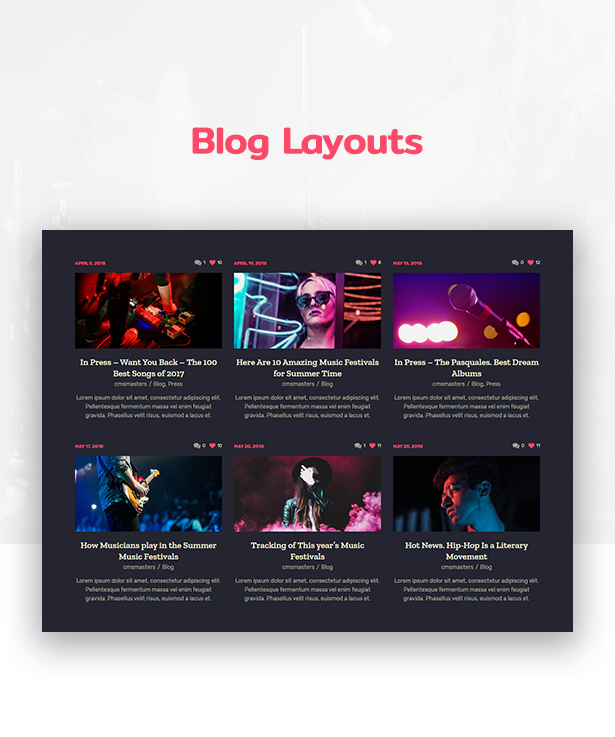 Theme niche is artist, audio, band, bands, dj, events, gallery, mp3, mp3 player, producer, music player, online player, singer, music band, rock band, rock star, celebrity,musician, responsive, shop and other music theme niche. Custom Admin panel – we have greatly extended initial WordPress admin to provide you with more functionality that includes a wide variety of options and settings and provides maximum customization flexibility to help you create the best music website. 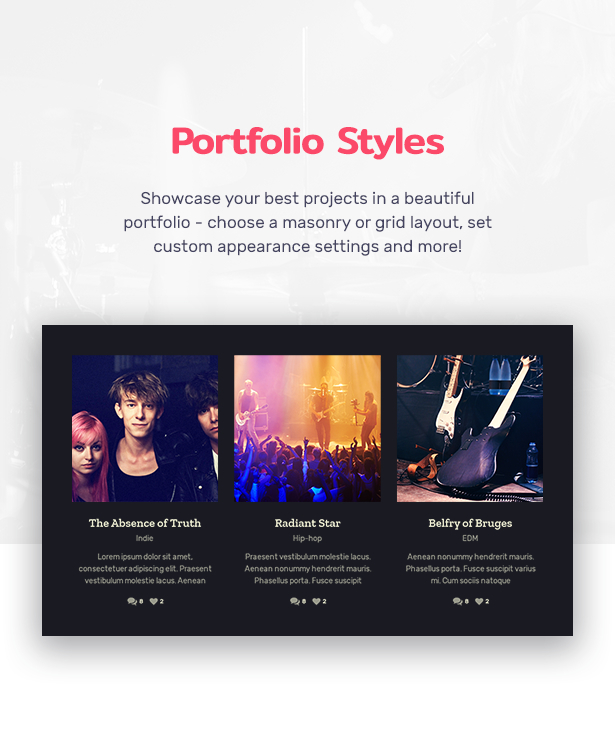 Layer Slider & Revolution Slider – this Music Band & Musician WordPress Theme comes with two popular slider plugins included, a Layer and Revolution Slider, both have supreme functionality and breathtaking effects. No need to purchase them, it’s all in! Custom Form Builder Tool – Cmsmasters team has created a custom form builder tool that lets you create contact forms for your Music Industry website. Unlimited Custom Shortcodes – 99+ Custom Shortcodes work as fantastic building blocks for your pages. Very diverse and easy to manage, you will love them! 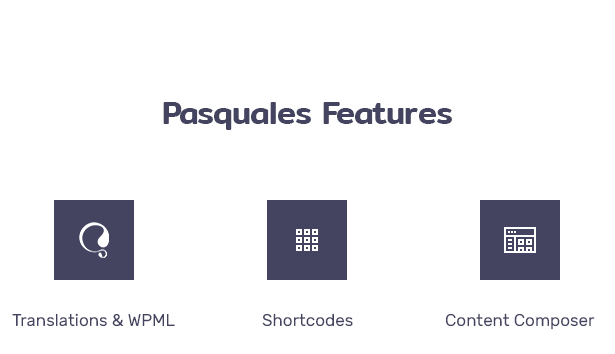 Responsive Layout – The Pasquales – WordPress Theme for Music Industry has a responsive layout that will respond to your screen width and make content appearance be perfect on all devices, from large desktop screens to mobile phones and tablets. If you need to create a professional music website, The Pasquales WordPress Theme will do the work for you.